Light Duty -- Single Clamping Mechanism. 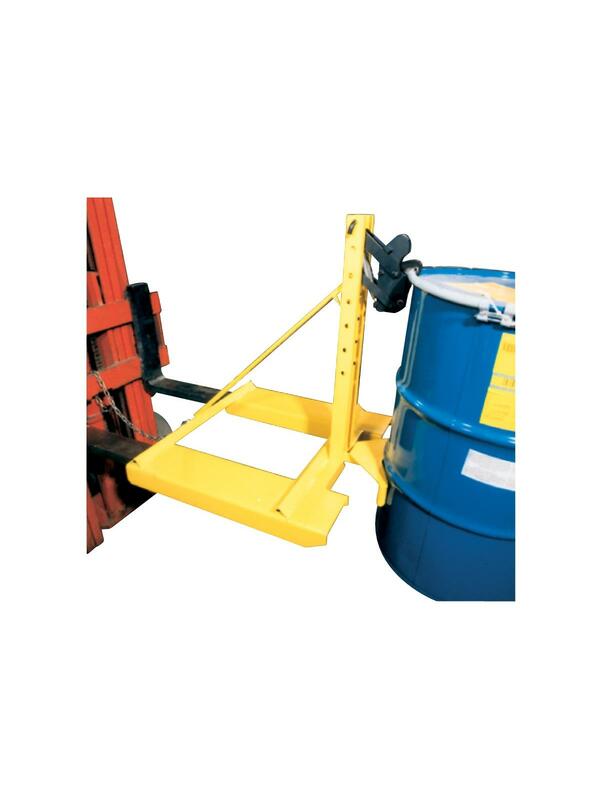 Single automatic clamping mechanism for handling any size steel or plastic chimed drum. HEG1SCM-F and HEG1SCM2-F are KD units which bolt together. Fork pockets and safety chain provide quick and easy installation. HEG1SCM-CM attaches to the carriages of most lift trucks and walkie stackers. 750 lb. capacity per drum. FOB Shipping Point. 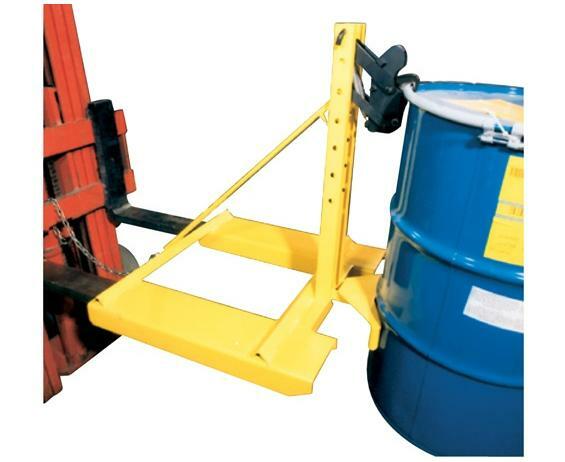 -BC Belt Cradle Option: Rubber belt to prevent cosmetic damage to the drum. -SRC Non-Sparking Option: Stainless Housing with non-sparking jaws. Includes belt cradle. 35 x 34 x 31"35 34 31"